On Friday, March 15th, twenty-five youth and parents gathered at Todd Academy for our increasingly popular Game Night. In contrast to our fast-paced events, Game Night is a casual hang out time for both youth and parents to socialize with intellectual peers, form friendships, and have an evening of fun. Thanks to everyone who came for making this event a success! I would like to especially thank Jessie Ramirez for suggesting the idea of having a game night. Jessie saw the need for the bright youth to have a casual hang out time on a regular basis, so her idea has become a reality. 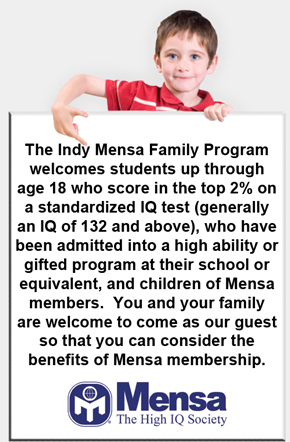 Looking over the programs we’ve offered in the past few years, a vast majority of them started from ideas from parents, youth, and Mensa members. The success of our program is a credit to the strong community we have. Thank you!